One of President Rodrigo Duterte's main platforms was to tackle crime in the Philippines. His plan of action? The Philippine National Police's "Oplan Tokhang," a mix of Visayan words "toktok" (to knock) and "hangyo" (to plead), where men in uniform knock on the doors of an alleged drug user or pusher and ask him/her to surrender to the police. The operation has allegedly killed at least 7,000 suspected drug users and dealers in a span of a year according to Human Rights Watch. With the House of Representatives this week passing only a P1,000 budget for the Commission on Human Rights, who knows what could happen next? To stay alive, Twitter user Greta Monica Trazo shared a series of slides on "What to Do and Not Do During Tokhang." 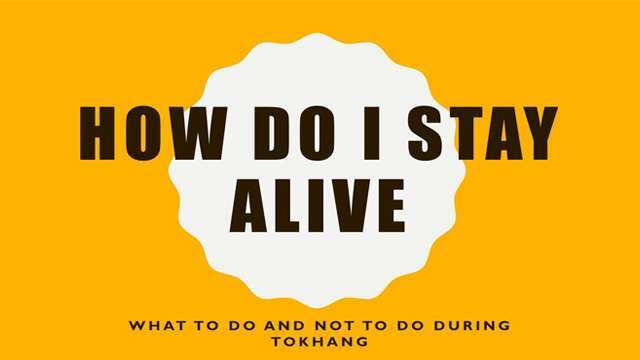 "I made a Tokhang survival guide for my friends. 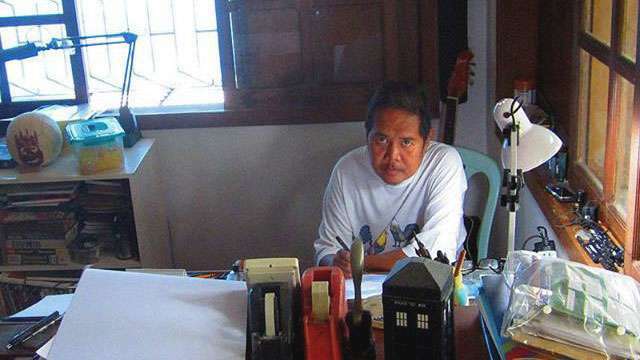 Pero sa true lang, kahit na alam mo rights mo, ma-assert mo ba pag binaril ka nalang bigla?" she said on Twitter on September 13, and the thread has since earned almost 2,500 retweets. The guide is infused with plenty of sarcasm and humor, but still manages to get an important message across. It details what you need to know about this operation—your right to not let the police take you to the station without a warrant of arrest, your right to not let them touch your things without a search warrant, and your right to have a lawyer present while all these are happening. Ideally, the police would recognize these rights and there wouldnât be a problem. But again, that's not always the case. As a backup plan, @greatness suggests to stay calm, take note of the police officers' names, and to "be firm but do not antagonize these men" because they can use their favorite word anytime "nanlaban."